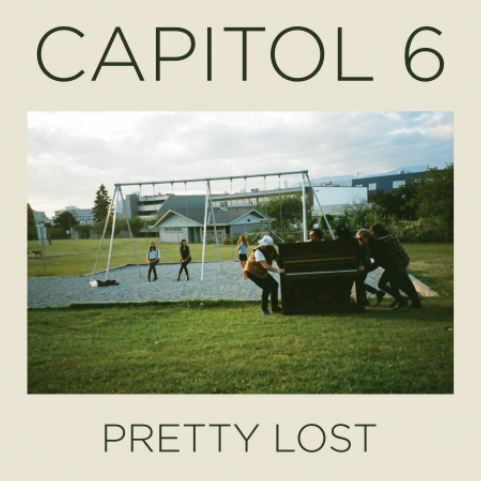 Capitol 6 is a beautiful disaster in form of folk rock. Pretty Lost is a creative masterpiece that seems to be lost in time. Rewind 50 years into the 60’s, Capitol 6 opens for Bob Dylan on his tour of England. Jump back to reality, and you have Capitol 6, side project gone completely right. Malcolm Jack is responsible for this luxurious album that boast a classic feel with tambourine and pure sounding guitars with no distortion. Bass driven songs with an organ ever present, each instrument properly mixed. Not one instrument overpowers the other, which creates a great balanced feel. Classic is what Pretty Lost is, and the instrumentals really tell the story amidst creative lyrics. The drumming is creative and fun with much of the tracks being fast paced. Coinciding with the bass, the rhythm of the drums is sporadic and unpredictable. The tambourine filling in some extra elements for the percussion section is necessary and soothing. The way the bass grooves in and out between the percussion and the guitar is beautiful. The guitar playing itself is a marvel to behold. It seems to be more on the bluesy side, but the mixture is excellent. B.B. King would be proud to hear the art continue into other genres. The lack of distortion allows for a more twainy sound, which adds feeling behind the sound. The organ is all the while creating great harmony between the singer and guitar. There seems to exist a little welcome tension present that seem like everything is about to collapse, but never does. Overall, Capitol 6 delivered an excellent album that is applauded by many in indie circles. Lucky Canadians will get to see them tour this summer throughout most of Canada. This album being a follow up to their EP Captain Rehab was much anticipated and not disappointing. Pretty Lost in time, but not in ability to write masterpieces. Stream Pretty Lost in its entirety at Exclaim!